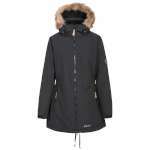 The Trespass Womens Celebrity Fleece Lined Insulated Longer Length Parka Jacket features Tres-Shield waterproof, to 5,000mm, and windproof fabric to protect you from wet and windy weather. 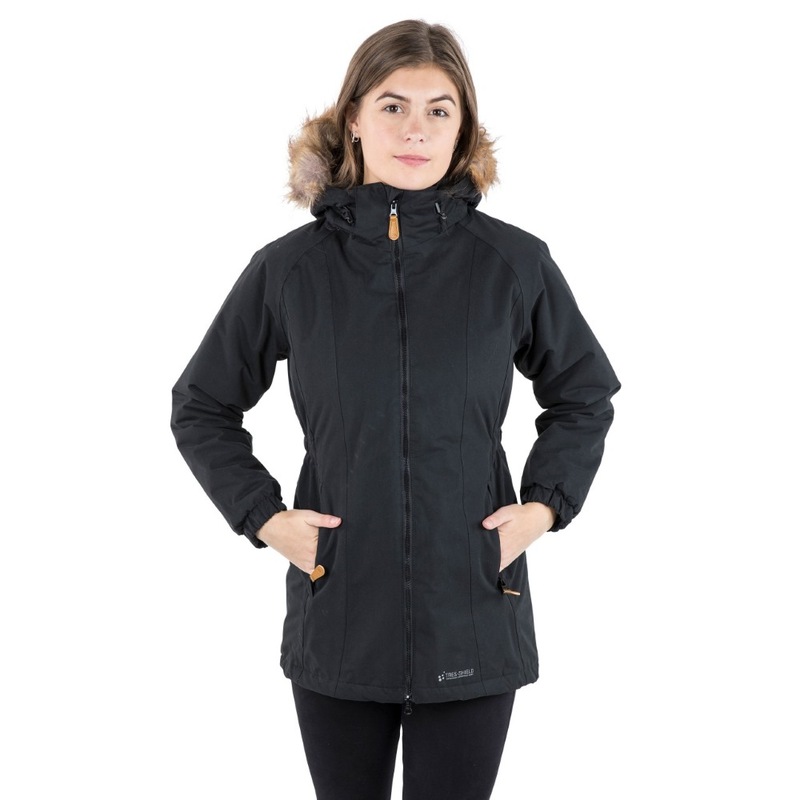 Taped seams are also provided to prevent rain water from leaking through the jacket's stitching and a back hem vent allows your skin to breathe. 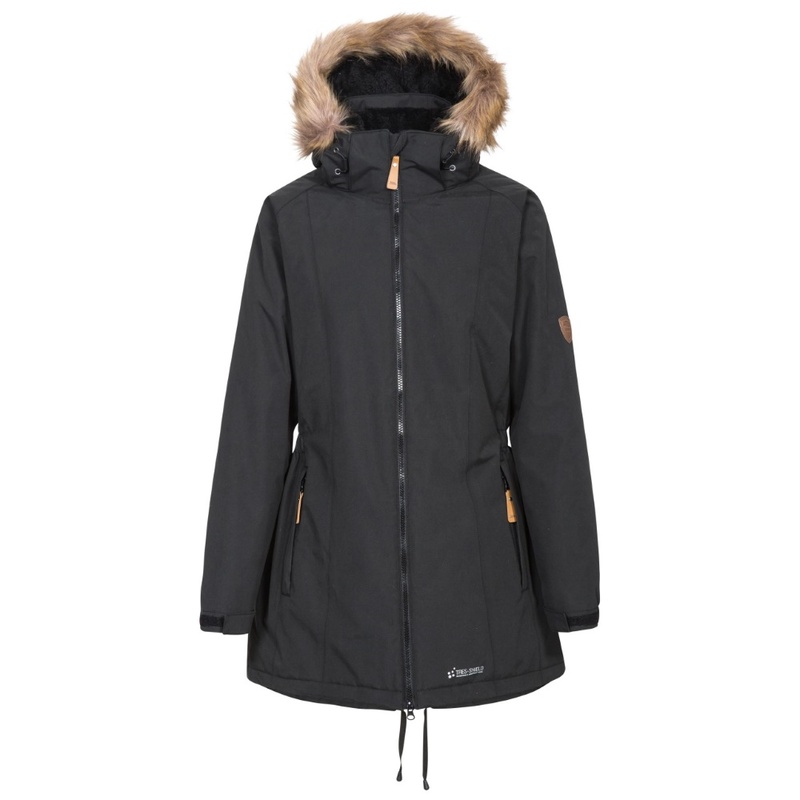 Featuring ColdHeat insulation, light padding and a warm and cosy furry fleece lining, this jacket provides luxurious comfort and warmth that will keep you smiling on even the coldest of days. 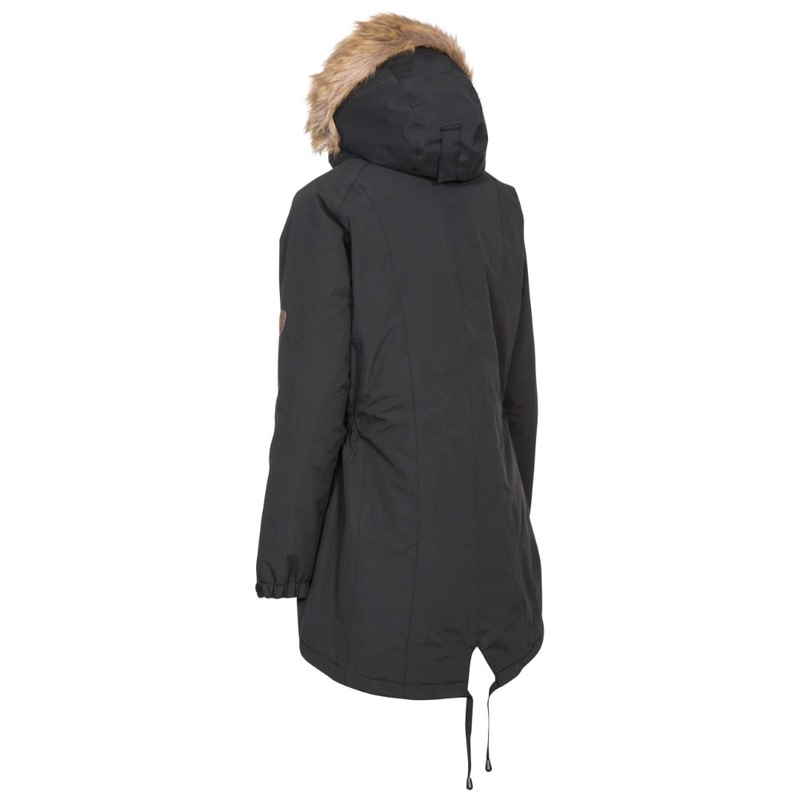 Also featuring an inner storm flap, to prevent cold air from getting inside, and elasticated sides and cuffs to provide comfort while trapping in body heat. 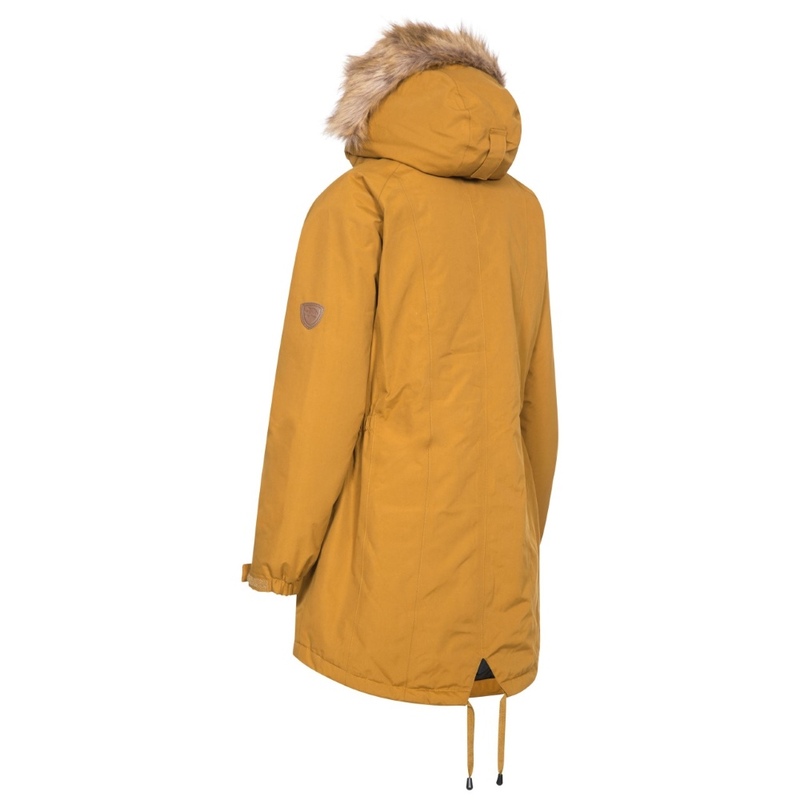 Fashionable, as well as practical, this parka jacket also features a warmer longer length and stylish stud off fur trim on the adjustable and detachable zip off hood. 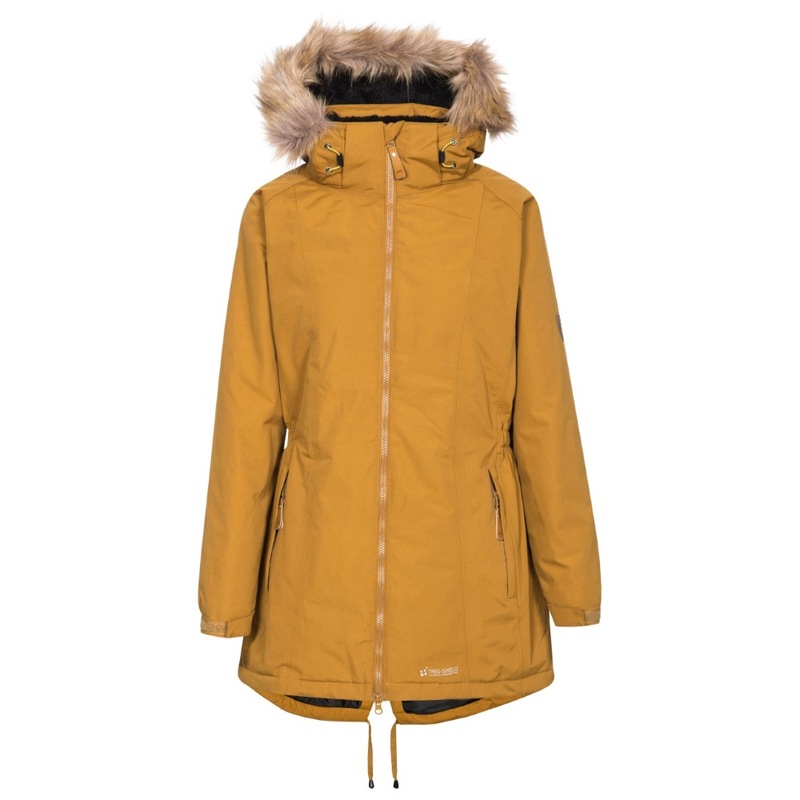 Available in black, golden brown, moss green and purple, you'll look as great as you feel in this premium women's parka.